In the past 20 years, evidence based healthcare (EBHC) has earned its place as the dominant paradigm for informing clinical practice and policymaking. But despite a generation of research into ‘implementation science’, the gap between what we know from research evidence and what we do in the clinic, at the bedside and around the policymaking table has remained stubbornly difficult to close. First, implementation problems are typically complex, messy, unique, idiosyncratic and ‘wicked’ (that is, with no clean solution). Evidence-into-practice frameworks are useful up to a point, but negotiating compromises and ‘muddling through’ may be equally key to your success. Second, knowledge takes different forms. Whilst published research knowledge is important, so are the embodied knowledge of the experienced clinician, the local knowledge of the street-level bureaucrat and the socially shared knowledge of communities of practice. Effective strategies for implementing evidence draw on multiple forms of knowledge. Third, whilst there are no quick fixes or universal answers, there are nevertheless some important principles that apply at different levels of intervention (individual, group, organisation, system), and implementation gets easier once you know those principles. 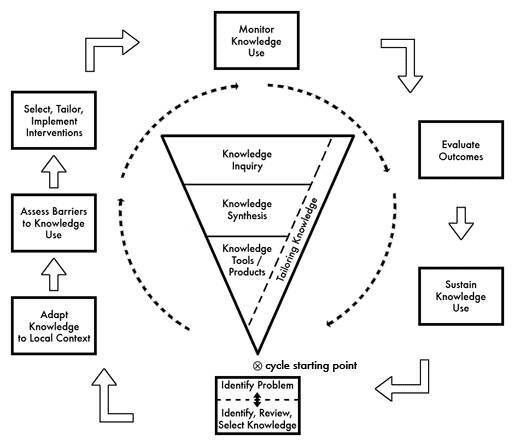 Lectures and seminars will cover models and tools for implementing evidence, including the popular ‘knowledge to action’ (KTA) framework (Figure 1). But it will also problematise and critique KTA (and ‘frameworks’ more generally). 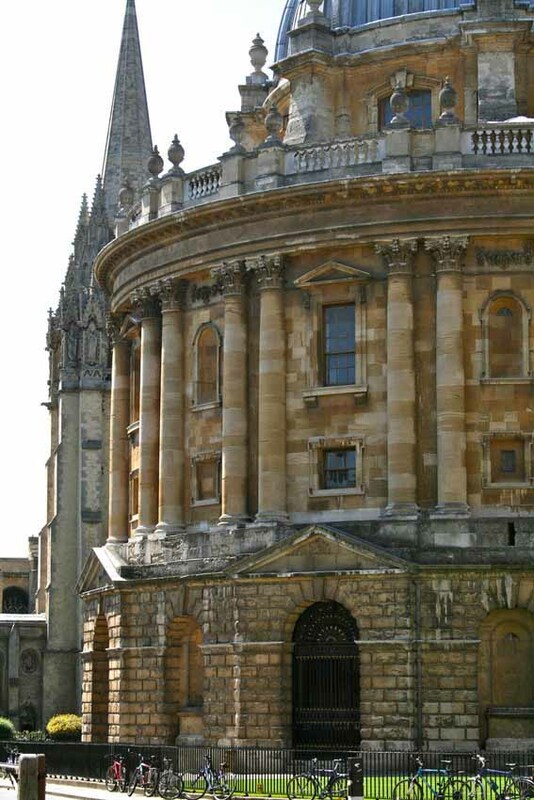 We will explore, for example, the tensions between explicit and tacit knowledge, the role of values and power struggles in the policymaking process and the complexities of health system change. We will also consider more collaborative (‘co-creation’) approaches to research in which the knowledge-action link might be better expressed as ‘knowledge through action’. Practical exercises and interdisciplinary group work will help you to apply your learning in a project to improve the use of research evidence in your local workplace setting. It will not, however, give you a quick fix or a magic formula – or take the politics out of policymaking. Teaching will be led by Professor Trish Greenhalgh and Dr Kamal R. Mahtani, both clinicians and researchers at the Nuffield Department of Primary Care Health Sciences. The last date for receipt of complete applications is 5pm Friday 3rd May 2019. Regrettably, late applications cannot be accepted. Produce a written case study of an attempt to implement evidence in a real-world setting. "This was the best module I have attended so far on the MSc programme. It has helped identify 'the gap' in my ability to transfer knowledge into action and given me some useful strategies and theory to underpin my work." "This has been a very practical and insightful module to enlighten me about the complexities and intricacies of a very important process of translating evidence into action." "Excellent application of theoretical concepts to real life problems / situations." How to Implement Evidence-Based Healthcare by Trisha Greenhalgh. Oxford, John Wiley & Sons, 2017. Trish Greenhalgh is Professor of Primary Care Health Sciences and a practising GP. Kamal Mahtani is a GP Clinical Scientist and Director of the MSc in EBHC Systematic Reviews.